Will Fred play any part for Man United during the second half of the season? Will these ‘two’ Man United players get to play in the first XI anymore? 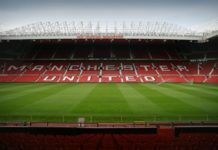 Manchester United will take on PSG in the Champions League Round of 16 this week and almost everyone knows how Solskjaer is planning to set up his first XI. Solskajer had made a couple of changes to his starting lineup vs Fulham this past weekend but most of the players who were rested should return back for the PSG. And it is more or less certain that Fred and Andreas Pereira will not be named in the first XI. Both these players had struggled to find game time under Jose Mourinho with many fans pointing fingers at the Portuguese for not using the summer signing Fred. 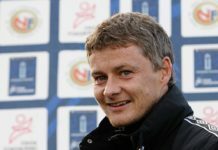 But with Solskjaer the luck of the duo does not seem to have changed as they have hardly been used since the past couple of weeks. And now many reports are suggesting that both Fred and Perreira do not have future at the club and might be sold off during the summer transfer window. The manager though has a completely different view and has gone onto to claim that Fred along with Andreas Pereira and some others will play a significant role during the remainder of the season. “Fred is exactly like everyone else,” Solskjaer said. “He [Fred]’s a good lad, same with Andreas [Pereira], he’s working really hard, you’ve got Scott [McTominay]. And when they get the chance, because they will, we want to see improvement. “I didn’t do Andreas or Scott or Fred any favours when I put them in against Reading when we’ve had nine changes. Next time they come in there might be one or two changes, and it’s easier, and then we’ll see what they’re capable of. “There’s loads of players that have come in and found the first few months difficult. One of the best players I’ve played with that struggled the most was Diego Forlan. Veron [is another] you know, those two fantastic players and it took a bit of time. But when they settled they performed. Next articleHere’s one thing Unai Emery is currently working on with his Arsenal players: A good thing?